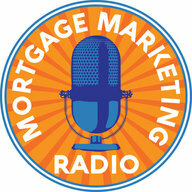 Is your mortgage business mobile friendly? Our guests this week are Clint Morgan and Michael Kelleher. 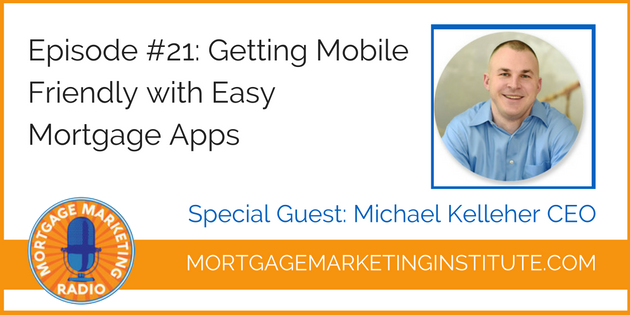 Clint is the Senior Vice President and Chief Lending Officer of Ruoff Home Mortgage, and Michael is the president of Easy Mortgage Apps, providing mobile solutions for the mortgage industry. Easy Mortgage Apps allows you to keep buyers and partners informed and engaged via push notifications, allowing them to interact with the whole process and learn more about their loan without having to rely on emails. As Michael mentions in the interview, there are two approaches to mobile strategy. 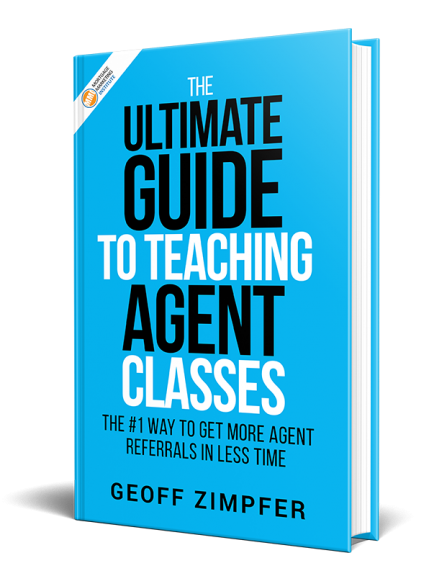 Either you view it as a “ticking the box” activity whereby you simply have a mobile business card or responsive website, or you adopt the approach that Clint has taken using Easy Mortgage Apps with an end-to-end mobile friendly user experience. The fact is that times are changing, and it’s not just millennials who expect a mobile friendly loan process. Simply put, you need to embrace mobile activity in your business today or be left behind. Michael very generously offered $500 off the implementation fee to all Mortgage Marketing Radio listeners when you mention the show.